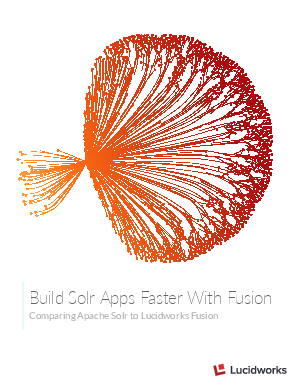 Lucidworks Fusion is built on top of Solr and even runs on top of your existing Solr deployment. You have full access to all of the power, speed, and scalability that Apache Solr brings to an app. But Fusion augments it with tools for improving relevance as well as out of the box solutions for data acquisition, security and administration—all organized with a friendly admin interface. Additionally, we fuse the processing power of Apache Spark into our platform to perform operations at scale. Download now to learn more!